To be clear, these are proposed changes that were included in the Obama Administration’s budget for the 2016 fiscal year. Every year, the President is required to submit a budget to Congress. And every year, the budget includes a list of tax changes — the nature of which naturally varies depending upon whether a Democrat or Republican is in office. A key point, however, is that the President does not actually have the power to implement such changes to existing law. ** For such a change to take effect, somebody would have to introduce a bill in the House of Representatives, where it would ultimately have to be passed. And the Senate would have to pass it as well. Then the President comes into play by signing the bill into law (or, in some cases, refusing to do so). So, what ultimately ends up happening with most tax-related proposals in presidential budgets? Nothing. Most never even get introduced as bills. And, of those that do, many never get anywhere near becoming law. This is especially true in situations such as we have today in which the President is of one party and both houses of Congress are controlled by the other party. In fact, some ideas (the limit on retirement account sizes, for instance) have been proposed repeatedly without ever going anywhere. From a civic duty perspective, it may be worth following such proposals so that you can contact your elected representatives to let them know whether (and why) you do or do not support various tax changes. But from a financial planning perspective, if nobody has even introduced a bill yet, it’s far too early to start making any changes to your tax planning. That said, you don’t want to bet everything on the idea that nothing will change. Tax law does change over time, which is why “tax diversification” — having some money in tax-deferred accounts and some money in Roth accounts — is generally considered to be a good idea. **The executive branch does have some power with regard to how existing law is applied. That is, in cases in which a particular provision in the tax law is ambiguous, the Treasury Department has some leeway in choosing how to administer the law. And then if taxpayers oppose the way in which the Treasury Department applies the law, the judicial branch (i.e., the courts) will ultimately get involved as well. 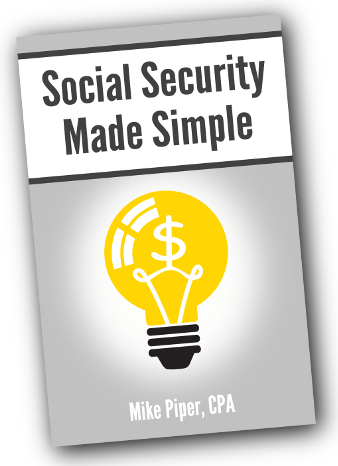 How Do Child’s Benefits Affect Social Security Claiming Strategies? Before getting into how claiming strategies are different for people with qualifying children than for people without qualifying children, we must first discuss who is a qualifying child. How Does Somebody Qualify for Child’s Benefits? 18 or older and a full-time student in grade 12 or below. You must have filed for your retirement benefit. How Do Child’s Benefits Affect Claiming Strategies? There are three key points to understand about the interaction of child’s benefits and Social Security claiming strategies. Second: Because you must have filed for your retirement benefit in order for your child to be able to qualify for a child’s benefit, the cost of each year that you wait to file is greater than it would be for a person without a qualifying child (because you’re giving up a year of child’s benefits as well as a year of retirement benefits). Third: If you have a qualifying child, your spouse may be able to qualify for spousal benefits based on your work record, even if your spouse has not yet reached the normal qualifying age of 62. As a result of these three facts, having a qualifying child is a point in favor of claiming early. It isn’t necessarily a conclusive reason that you should file early, but it’s certainly a point weighing in that direction. …having a qualifying child pushes the break-even point from age 80.5 to age 84. ** That is, rather than having to live beyond age 80.5 in order for waiting to be advantageous, you’d have to live beyond age 84 (which is, of course, less likely). For a married couple, there’s no way to give a generalized break-even point, because it depends on the difference in the spouses’ ages, as well as the difference in primary insurance amounts. With the additional moving piece that comes into play when child’s benefits are involved, the complexity of assessing one strategy against another goes through the roof. As a result, while using a Social Security claiming calculator is likely a good idea for anybody, it’s even more likely to be beneficial for people who have a qualifying child. Unfortunately, to the best of my knowledge, only one of the online calculators (MaximizeMySocialSecurity.com) includes child’s benefits in the analysis. Having said that, the following two strategies may serve as a (very rough) starting point for analysis. The low-PIA spouse claims retirement benefits as early as possible, thereby allowing the child to start taking benefits based on that spouse’s work record. Then, upon reaching FRA, the high-PIA spouse files a restricted application (thereby receiving spousal benefits based on the low-PIA spouse’s work record). Then, at 70, the high-PIA spouse files for his/her own retirement benefit, and the child begins receiving benefits based on the high-PIA spouse’s work record. The low-PIA spouse still files for retirement benefits at 62, allowing the child to start receiving benefits. Then, at his/her FRA, the high-PIA spouse files and suspends, thereby allowing the low-PIA spouse to start receiving a spousal benefit, and thereby allowing the child to start receiving a higher child’s benefit. Then, at his/her age 70, the high-PIA spouse actually starts receiving retirement benefits by asking to have them unsuspended. **We’re keeping things simple in this analysis by ignoring investment returns. If we assume that early-taken benefits are invested and outpace inflation, that would push the break-even point back even further. 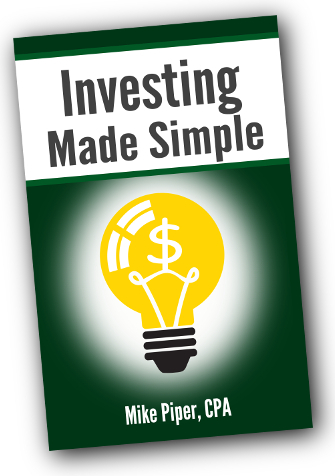 The whole point of an IRA (Roth or otherwise) is to save for retirement. Unfortunately, things don’t always go as planned, and you may find yourself needing to withdraw money from your Roth IRA before age 59½. The most important thing to know is this: Contributions (that is, the money that you put into your Roth) can come out at any time, free of taxes and penalties. Please note, this flowchart only applies to earnings when your Roth does not include any amounts converted from a traditional IRA or other retirement plan. If your Roth does include such amounts, please see “Distributions After a Roth Conversion” below. The distribution was made to your beneficiary after your death. Any earnings distribution prior to the first day of the fifth year after your first Roth was established will be taxed as ordinary income, at whatever your tax rate is at the time. Example: You open a Roth IRA on May 18, 2009. The 5-Year Rule is satisfied as of January 1, 2014. You have unreimbursed medical expenses that exceed 10% of your adjusted gross income. When applying each of the above rules, the IRS views all of your Roth IRAs together as one big Roth IRA. For example, once you’ve met the 5-Year Rule for one of your Roth IRAs, you’ve met it for all of them. Also, distributions from a Roth will not count as distributions of earnings until you’ve withdrawn an amount greater than the total of all of your contributions to all of your Roth IRAs. Example: In 2013, you contribute $2,000 to a Roth. In 2014, you open a Roth with a different brokerage firm, and contribute $3,000 to it. By 2015, each Roth has grown to $5,000. You could withdraw $5,000 from either (but not both) of the two Roth IRAs without having to pay taxes or penalties because your total contributions were $5,000 and because the IRS considers them to be one Roth IRA. If, you’ve converted money from a traditional IRA to a Roth IRA, things get slightly trickier. Any distributions of converted amounts (assuming they were taxable at the date of the conversion) will be subject to the 10% penalty (though they’ll be free from ordinary income taxes) if the distribution occurs less than 5 years after the first day of the year in which the conversion occurred. 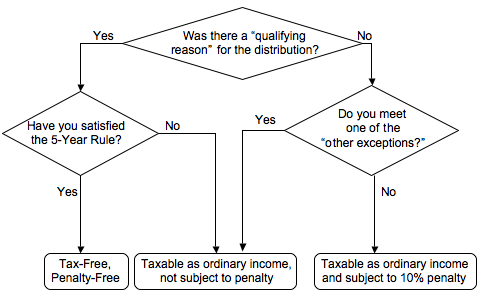 If, however, the distribution was for a “qualifying reason” or you meet one of the “other exceptions” above, the distribution will be free from penalty. If the conversion included amounts that were not taxable (because they came from a nondeductible IRA), those amounts will not be subject to the 10% penalty even if they are withdrawn from the Roth prior to the first day of the fifth year after the date of the conversion. Example: During 2013, you contribute $5,000 to a Roth IRA. You also convert $20,000 from a traditional IRA into your Roth IRA. Of that $20,000, $13,000 was taxable upon the conversion, and $7,000 was not because it came from nondeductible IRA contributions. In 2014, you withdraw $8,000 from your Roth. The first $5,000 is free from tax and penalty because it’s a return of your contributions. The next $3,000 is assumed to come from the taxable portion of your converted amount. As a result, it will be free from income tax, but it will be subject to the 10% penalty because the distribution occurred prior to the first day of the fifth year after the date of the conversion. In 2015, you withdraw another $15,000 from your Roth. The first $10,000 will be the remainder of the taxable portion of the conversion (and will again be free from income tax but subject to the 10% penalty). The remaining $5,000 will be considered to have come from the nontaxable portion of the conversion, and it will be free from both tax and penalty.